Publisher: North Star Chapter of BCCA, 1982. Soft Cover, 90 pages, 8.5 x 11. 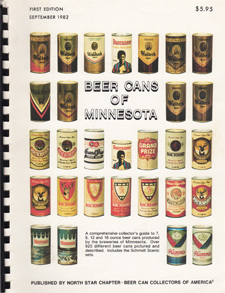 A nice printed catalog of the beer cans of Minnesota showing illustrations and information on each can. Printed and spiral-bound.